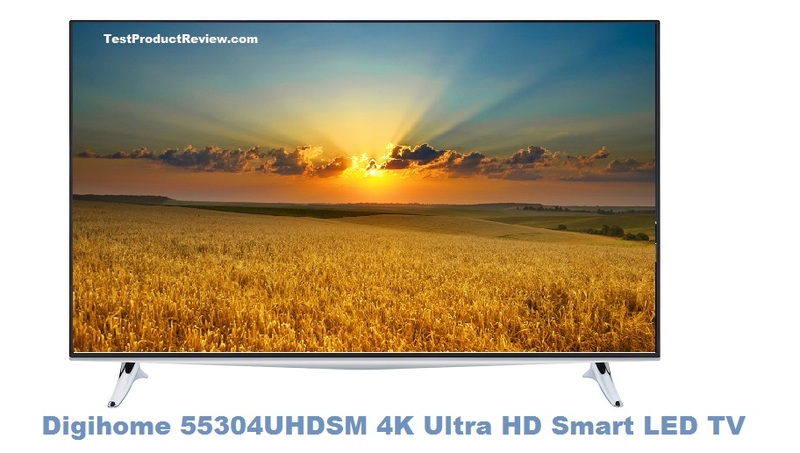 Digihome 55304UHDSM is a very nice big screen TV with amazing 4K Ultra HD picture quality and Smart TV features. This cheap big screen TV is a real best seller at eBay UK these days, which is probably thanks to the good set of features it offers and the appealing low price tag (one of the cheapest 55 inch 4K Ultra HD panels on the market these days). With the Digihome 55304UHDSM 4K Ultra High Definition LED TV you can enjoy sharp detailed pictures in a big 55 inch screen for a reasonable price. To make the most of this great TV technology on the Digihome 55304UHDSM, input a 4K UHD source as Netflix and you'll be amazed at the high quality images with sharp details. This 4K Ultra High Definition LED TV also has Smart features and comes with integrated WiFi so you can access BBC iPlayer, Netflix, YouTube, Facebook and Twitter. There is also a browser included so you can surf the internet on your TV. Supporting all of this are 4 HDMI ports and 3 USB ports so you can also connect a number of other devices to the TV too. This TV is mostly sold in UK where its price varies around £500 which currently is one of the lowest for 55 inch 4K TV on that market. You can also check the rest of our Digihome TV reviews.